What Do the Native Americans Know about Health, Anyways? | Have It Now! In the early 1920’s a rancher in Central Utah fell seriously ill. Doctors were unable to diagnose his illness and his condition became progressively worse. Desperate to save his life, he allowed a local Native American to lead him to a sacred spring and he drank from the small pool of golden water that lay at the base of magnificent sandstone cliffs. He continued drinking the water until his illness subsided. Amazed by his recovery, He traced the trickle of spring water to its origin by following it through the labyrinth of cracks and crevices in the sandstone cliffs isolating the various ore deposits it passed through on its way to the healing pool below. Researching the spring’s path led Him to the discovery of rich mineral deposits. Verified by the U. S. Department of the Interior as deposits of plant origin approximately 100 million years old, it contains uniquely preserved mineral compounds from prehistoric plant sources. The man’s name is T. J. Clark and his discovery still exists on his grandsons’, Thomas J. Clark’s privately owned Last Chance Ranch. Through research on his farm animals, T. J. found a variety of health benefits, which he attributed to the mineral compounds. He developed a leaching process to extract the concentrated mineral compounds into pure water duplicating the chemistry of the “healing pool” below. He began passing out his mineral formula to his friends and neighbors. The feedback that they provided, coupled with his personal experience with the minerals, was the cornerstone of his research. Word of mouth spread the news across the country about T. J. Clark’s phenomenal discovery of these unique minerals. T. J. spent the rest of his life investigating his phenomenon and working with researchers. By the time he died, T. J. had created the world’s first colloidal mineral formula. His legacy continues through the work of his grandson Tom, who is currently President and CEO of T. J. Clark & Company. T. J. made history when he discovered this amazing nutritional treasure – located in Central Utah. T. J. Clark, was also responsible for bringing the word “Colloidal Mineral” into common usage. In the early 1900’s researchers working on animals identified various mineral deficiency diseases.It was learned that copper is needed to make connective tissue, so joints and arteries remain healthy. Iodine and Iodide were needed for a healthy thyroid. Manganese, zinc, cobalt, chromium and iron were all identified as essential macro minerals. But what about trace minerals; what role in health do they play?Gallium has specific metalloenzyme activity in the human brain and has been reported to specifically reduce the rate of brain cancer in lab animals. Germanium, acts as a co-factor in oxygen utilization. It is know to enhance the immune system by stimulating production of natural killer cells, lymphokines and T-suppressor cells. Lanthanum doubles the lifespan of a certain protozoa. Lithium has been used for decades successfully to treat depression. Molybdenum is required to make at least three essential enzymes. Rubidium is found highest in the liver. It can replace the electrolyte function of potassium in many species. Samarium enhances normal cell proliferation and doubles the life span of lab animals. Thulium supplementation enhances the growth of normal cells and has doubled the lifespan of lab animals. Yttrium enhances normal cell growth and doubles the life span of laboratory animals. Pregnant mice supplemented with yttrium leads to rapid placental transfer, 14% of the ingested Yttrium can be detected in newborn mice. Some of the above mentioned minerals doubles the lifespan of animals. The Hunza People are a good example of how consuming trace minerals every day of their life ensures robust health and a long life span. They are known to commonly live to 140 years of age. The Hunza Way of Life: The pass into Hunza is 13,700 feet high and is only able to be traveled during the three summer months. The indigenous plant life of the Hunza Valley is rather limited. Ninety-nine percent of the original valley was bare rock. Cultivated plants include barley, millet, wheat, buckwheat, potatoes, turnips, carrots, beans, peas, pumpkins, tomatoes, melons, onions, garlic, cabbage, spinach, cauliflower, apricots, mulberries, walnuts, apples, plums, peaches, cherries and pears. Pomegranate trees are also scattered throughout the valley. The Hunza people consume milk, buttermilk, yogurt and butter (which they put in their tea and use as a cooking shortening). Hunzan children are breast-fed until two yeas of age for girls to four years of age for boys. A large variety of indigenous wildlife, such as ibex or “markhors,” Marco Polo sheep, geese, ducks, pheasants and partridge provided the early Hunzan with meat. The Hunza people do not cook the majority of their food because of a lack of fuel. Even the animal manure is added back to their fields. The Hunza people’s salt supply is mined from hills near the Shimshal and Muztagh Rivers and used in its raw, brown state in their tea and for cooking. The brown coloring comes from trace minerals left in the salt deposit when the ancient seas dried up. 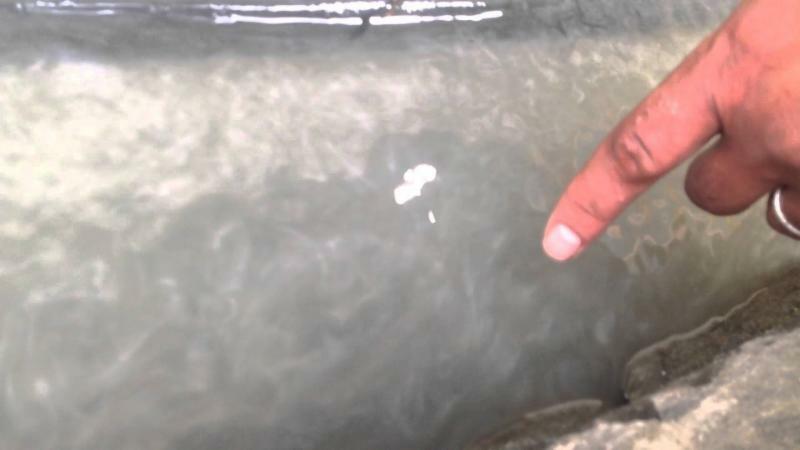 The Hunza People Consume an abundance of calcium and trace elements in their drinking water. They call it “Glacial milk” and it is the exclusive water source used for drinking and irrigation purposes. As the snow melts, the fields are flooded with waters. After the waters have sunk into the earth, a thick layer of mineral silt or “rock flour” is left on top of the soil. This silt is plowed into the soil before it is sown with seed. They use Native herbs are used for medicine, seasoning and as food (i.e. in salads). All children are breast-fed. No vaccinations or antibiotics are administered. They have virtually no birth defects and only two hermaphrodites or “mukhanas” have been recorded in the 2,300-year Hunzan history. After observing the Hunza people, Dr. Joe Wallach stated, “We must point out that the highly mineralized Hunza people have no jails or criminals or drug related problems of any kind. Disputes are usually over water rights, or on rare occasion, over a woman. Differences are settled quickly by the tribal elders and the worst punishment ever given out is that of banishment from Hunza Valley.”What difference minerals make! All of our body processes depend upon the action of minerals to activate the enzymes, which perform the body functions we take for granted. It is really important to have the proper mineral ratios to activate the properties and functions of enzymes, vitamins or amino acids, which are responsible for every activity in every cell of our bodies. Cellular functions require a proper chain of events that start with minerals. People overeat or eat unhealthy foods in an effort to supply missing minerals to their nervous systems. A severe mineral deficiency can even lead to addictions. Humans resort to using psychotropic drugs and/or alcohol in an effort to appease the nervous system’s needs. These cravings and addictions disappear when sufficient mineral levels are met. 80% of the minerals needs of a plant, animal or human are calcium 20% is the other elements. When sufficient amounts of bioavailable calcium are present with the correct amounts of macro and trace minerals, then a symphony of health can occur. Gray can reverse, cravings for junk food goes away, excessive cravings for sweets may diminish and on and on and on. Liqui Min is the T.J Clark Minerals and contains 70 macro and trace minerals. The term macro mineral means it is need is in higher amounts than trace minerals. Trace minerals refer to the minerals the body needs in very small amounts. Historically, the minerals we needed were found in the food we ate. Over 200 years ago many of our soils were rich in macro and trace minerals. What has happened over time is that the factory farming methods have depleted our soils of the minerals. So, it is very important, for a full expression of health to supplement these trace minerals. These minerals are essential for creating metabolic enzymes in the body. Metabolic enzymes are essential to every single cellular process including: protein synthesis, detoxification, energy production, neurotransmitter production, and blood sugar regulation. According to Dr. Olree and Charles Walters, in the book Minerals for The Genetic Code, 64 minerals are needed to active the 64 codons of the DNA. This activation insures correct and optimal amounts of protein synthesis. Once your body is given the trace elements that may be missing it is possible to experience a return of cravings for healthy food and aversion to unhealthy foods. One of the most exciting areas of human research in the 1990’s has been the discovery of new elements known to be essential in human nutrition. The importance of many minerals has been understood for many years. The role of calcium for instance, as a structural component of bones and teeth has been understood for a long time. Calcium’s role in muscle movement has more recently become understood, and only very recently has the importance of calcium in controlling immune cell activation been discovered. Many trace elements are only now beginning to be accepted as essential to humans. Chromium was recognized to be essential for the action of insulin in regulating blood sugar levels in the late 1980’s. Boron is another trace element recently shown to be important for hormonal regulation. Both boron and silicon are now known to be essential for proper bone formation. Recent research suggests that vanadium is an essential element for the regulation of many enzyme systems in life forms as diverse as algae and humans. Other elements that recent evidence suggests maybe essential nutrients include manganese, bromine, fluorine, lead, and arsenic. Many of the trace elements such as arsenic, selenium and vanadium, though essential in small amounts, are also highly toxic in only slightly larger amounts. It is important to receive small amounts of many different trace elements daily to obtain optimal health and vitality. 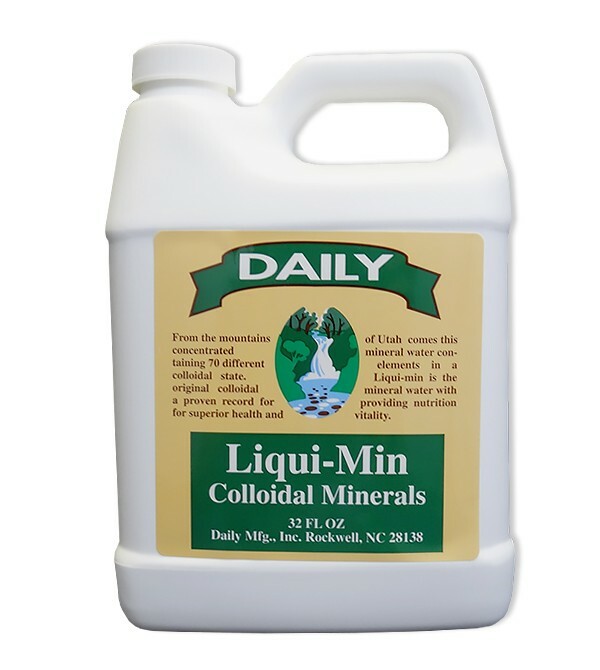 Liqui Min is the T.J. Clark Minerals and contains: Calcium, chloride, cobalt, chromium, magnesium, boron, manganese, molybdenum, selenium, iron, copper, phosphorus, sulfur, potassium, iodine, zinc, aluminum, antimony, barium, boron, beryllium, bismuth, bromine, cadmium, carbon, cerium, cesium, cobalt, dysprosium, erbium, europium, fluorine, gadolinium, gallium, germanium, gold, hafnium, holmium, hydrogen, iridium, lanthanum, lithium, lutetium, neodymium, nickel, niobium, osmium, oxygen, palladium, platinum, praseodymium, rhenium, rhodium, rubidium, ruthenium, samarium, scandium, silicon, silver, strontium, thallium, tellurium, terbium, thallium, thorium, tin, titanium, tungsten, vanadium, ytterbium, yttrium, zirconium. Liqui Min is sold in a 32 oz. container for $35.95. If you’ve not been on colloidal trace mineral supplementation for a while then take 2 tablespoons 2 times per day a.m. and p.m. for 30 days, then reduce down to 1 tablespoon 2 times per day. Liqui Min is a fantastic product, with 90 years of human usage and benefit. Save 10% on your order of Liqui Min. Offer expires on midnight 1.31.18. If you or a friend has cravings for unhealthy foods or struggle with depression, I highly recommend you give Liqui Min a try.